January has finally arrived—and with it, the roll-out of Community HealthChoices (CHC) for those living in Southwest Pennsylvania. New plans went into effect on January 1, and many seniors chose Senior LIFE as an alternative option. Other areas of the state will have their own CHC enrollment periods later, with implementation to begin in January 2019. If you or a loved one are among those who are newly enrolled in the LIFE Program, read on for a look at what should know. LIFE Programs, such as Senior LIFE, are an optimal alternative for many seniors. Through Senior LIFE, members can remain in the comfort of their homes while receiving all the necessary medical and support services to keep them healthy and independent. While all CHC and LIFE options are designed to provide these key services, few have the experience and expertise that Senior LIFE does. Senior LIFE has been serving seniors and their caregivers through high-quality medical and support services in local communities for nearly 20 years. And when it comes to health care, experience matters a great deal. Not only has Senior LIFE played a major role in senior health for decades, but each Senior LIFE Center is staffed by people who live in the community. Why is this important? Because our staff members are all familiar with the areas in which our seniors live, while managed care organizations are based in large cities. When participants choose Senior LIFE, they’re assigned a care team from one of our local Centers who will work with them and their families to develop a personalized care plan that meets their specific needs. Because all plans are individualized, they change over time as Senior LIFE members’ needs change. Not only can Senior LIFE members rest assured that they’ll receive high-quality medical and supportive services, but they can also rest easy knowing they’re partnering with an organization that provides better outcomes for seniors. But the benefits of the LIFE program don’t stop there. There’s a reason why nine out of 10 members would recommend participating in the Senior LIFE program. Having all Medicare and Medicaid services coordinated—Once you enroll in Senior LIFE, all approved Medicare- and Medicaid-covered services are coordinated and provided through the program. These services are designed to meet not only the health needs of members, but their social and spiritual needs as well. Being provided with prescription medication coverage at no cost—Each member receives all his or her medications—including those covered by Part D—through Senior LIFE. And Senior LIFE members pay no copays, no deductibles, and no cost for medications. That means that members don’t have to travel to outside pharmacies or handle any insurance snags. 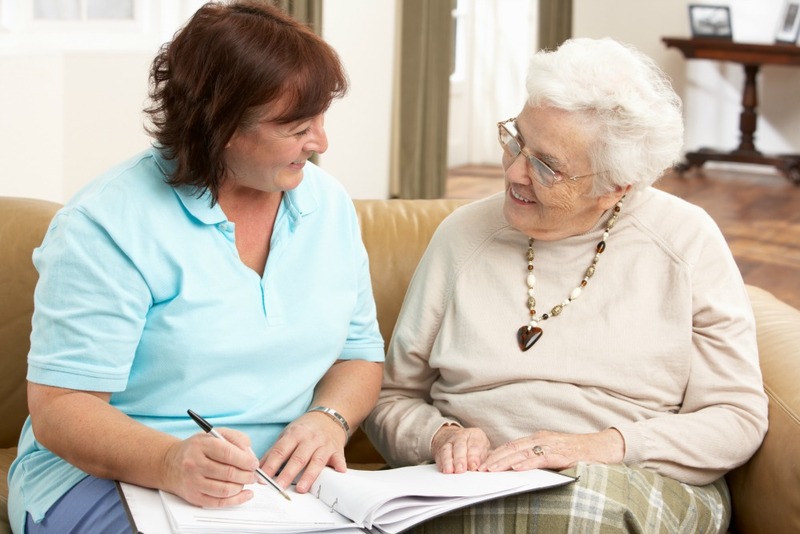 Having family caregiver support—Though rewarding, being a caregiver is full of challenges. We’re here to help caregivers navigate those challenges by answering questions and relieving worries and fears about how to best care for aging loved ones. Receiving person-centered care—At Senior LIFE, we understand just how personal health is. That’s why we work with our members and their families to develop individualized care plans that best meet their individual needs and that reflect members’ changing needs. Gaining access to convenient transportation—Senior LIFE provides free, “through-the-door” transportation to Senior LIFE Centers and to members’ other medical appointments within the community. When living independently and at home in your senior years is this easy, is there really any other choice than Senior LIFE? Community HealthChoices enrollment may be over, but eligible seniors can enroll in Senior LIFE at any time. Contact us to set up a free eligibility check to get started.